Beneficiation and upgrading of discarded coal and coal fines using the microalgae biomass. Conversion of the coal-microalgae composites (Coalgae™) into energy products such as bio-crude oil, synthetic gas and clean coal. 280,000 barrels of a light crude oil that can be further refined to liquid fuels. for coal. The microalgae allows selective recovery of coal fines from mineral contaminants in the waste coal, thus providing a cleaner and upgraded coal product. 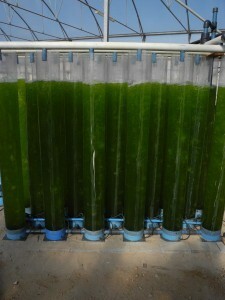 The microalgae cultivation system developed is cost comparable to open pond raceways, but has lower water losses and greater microalgae yields (0.6g/L dry mass). 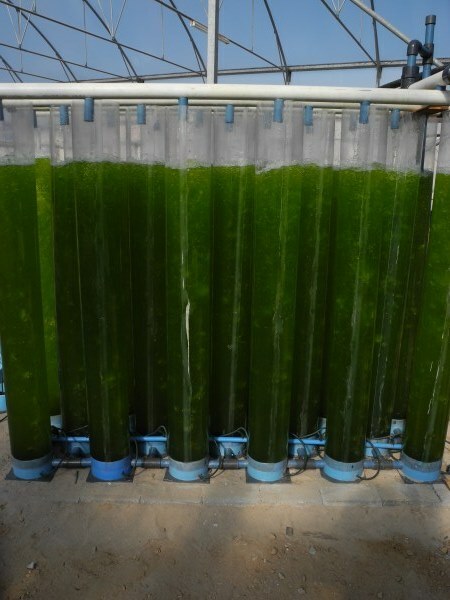 The carbon dioxide and micronutrients required for microalgae cultivation can be sourced from flue gas emissions produced by coal-fired power stations and other industries, thus reducing point source carbon emissions. Coalgae™ is the first market-ready product of the technology. The production technology has been demonstrated over three years on a pilot plant at the NMMU capable of producing 5 tons of Coalgae™ per annum. A micro-demonstration plant is being built to produce 20 tons of Coalgae™ per annum. A basic engineering study for a 1 hectare demonstration plant has been completed by Hatch-Goba. The conversion of Coalgae™ to energy products is under development at a pilot scale. The development work has shown that the conversion produces fuels that can be further refined for commercial use. Opens up business opportunities that are currently restricted by the carbon footprint of the customers’ processes.